Van Eecke | Beer Apprentice - Craft Beer News, Reviews, Interviews and Info. Hello guys. Thanks for checking back in on another craft beer review. 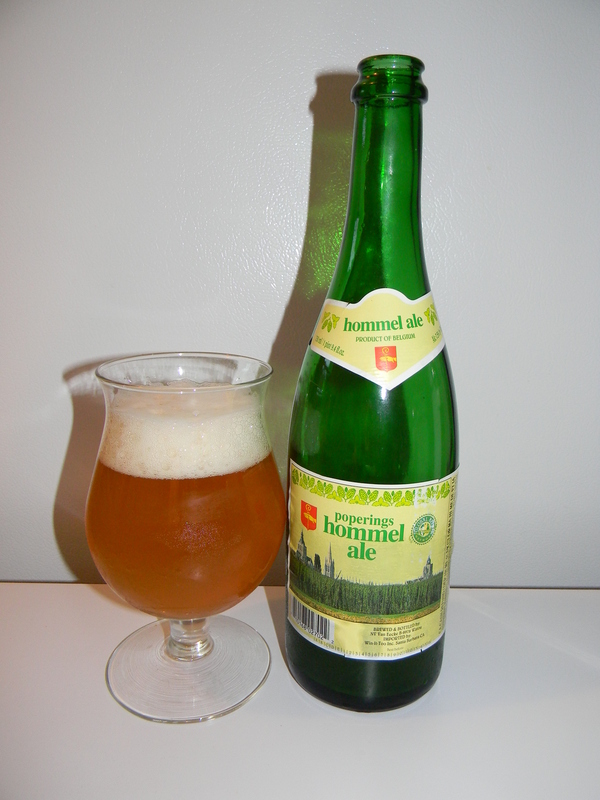 Today, I’m going to be trying the Poperings Hommel Ale produced by Brouwerij Van Eecke N.V. located in Watou, Belgium. I don’t recall ever having a beer from Van Eecke before, so I don’t really know what I’m getting into with this one. Only one way to find out I guess. The website, hommelbier.be, didn’t provide any particular information about this brew, therefore I checked on ratebeer.com and found this description. Sounds nice enough to me. Let’s pour. This beer came in a 25.4 oz. bottle and it had an ABV of 7.5%. It produced a semi-clear, pale orange color with a very well sized, soft, soapy and fluffy white head from a fairly easy discharge. A bit of sediment was noticed floating around while a steady stream of bubbles were spotted rising from the center of the tulip glass. The retention time from the cap was great. It really stuck around for a good, long while. The lacing was solid too. A lot of soap suds were left behind after each sip and after it settled somewhat. The aroma was very nice I thought. Pleasant fragrances of yeast, lemon citrus and coriander spice. A substancial amount of grassy and floral notes made up the bulk of the bouquet, however additional tones of light pear and light orange began to emerge once the brew was allowed to breathe a touch. The flavor also release an abundance of grassy savors. More of that great Belgian yeast and spicy coriander came through on the second or third sip too. The fruitiness seemed to be geared more toward the pear, while a subtle relish of green apple added just a smidgen of sourness though. The overall taste was semi-bitter and suitable. Very nice. The mouthfeel was medium bodied. It was spritzy, bitey, dry, crisp and refreshing. The carbonation was lively and a nice shot of flavor was left behind on the palate long after each sip. No doubt about it. This was a very nice beer. It was very complex, however very balanced and easy to drink. It would definitely be a great beer for either the Spring or Summer months. I’d really like to grab another bottle of this before the season ends that’s for sure. You guys should as well if you see it on the shelf somewhere. I doubt that you’d be disappointed with it. Have you folks ever tried the Poperings Hommel Ale? If so, what was your opinion? Feel free to leave a comment and tell me all about it if you’d like.